Editorial: Why Are the Guys Such Jerks in the..
Paranormal Activity 4 Wins the Weekend Box Of..
Halloween is just a few weeks away which means it’s time for another inexpensive way to make money by releasing a low-budget movie with a familiar name that casual horror fans will flock to for equally cheap scares and thrills. For that crowd, it really doesn’t matter what we say about the fourth installment of the Paranormal Activity movie, which is probably about as review-proof as those Twilight movies, but unfortunately, it’s the first installment that outright fails. When Catfish directors Ariel Schulman and Henry Joost were brought on for the third movie, a prequel that flashed back to the ’80s, it seemed like an odd choice but they really stepped things up with some original visual ideas while building on the mythos of the demon that’s been plaguing Katie Featherston and those around her for two previous movies. Paramount has dropped a new clip from Paranormal Activity 4 – the sequel that officially opens October 18th, but kicks off with advance screenings tomorrow night. 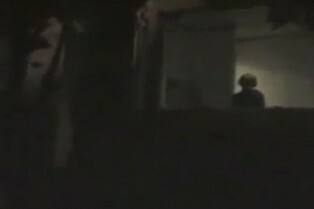 In the snippet, we see a young woman levitating off of her bed. Yes, we’ve seen this imagery before, but here it is in clip-ish form. Enjoy! A new “clip” (or TV spot, as we’ll call it, the Paranormal Activity Facebook page calls it a clip) from Paranormal Activity 4 has found its way online. You can watch it after the jump. The film opens on October 19th. Paramount Pictures has revealed a new TV spot for Paranormal Activity 4, opening in theaters at 9 p.m. on October 18. You can watch it in the player after the break! The New Paranormal Activity 4 Trailer Hits! Paramount Pictures has revealed the new trailer for Paranormal Activity 4, opening in theaters on October 18th beginning with screenings at 9pm. You can watch it in the player after the break, courtesy of iTunes Movie Trailers! Yahoo! 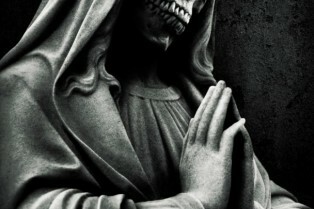 Movies has posted this new teaser clip for Paramount Pictures’ Paranormal Activity 4, coming to theaters on October 19. As usual, the studio is not releasing any plot info before the film’s release, but what do you think the fourth installment will be about? Check out the clip after the jump! 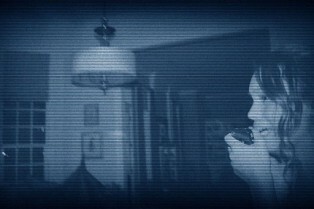 Paramount Picture released a new image from Paranormal Activity 4. It conjurs up the usual questions: What are we looking at? Who’s in the pic? What’s happening? 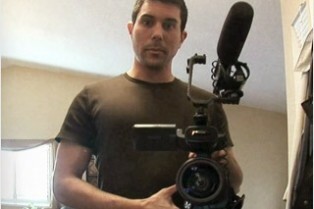 Henry Joost and Ariel Schulman return to direct – they previously helmed the third chapter in the series and Catfish. The four film opens October 19th. A new publicity photo – the first, in fact – from Paranormal Activity 4 hit the web today featuring a teenage girl and an ominous child lurking in the doorway. As is usually the case with these films, we don’t get much before their release, so we do not know who the girl is, moreover, why she’s being stalked by a menacing runt. The film opens October 19th. We’ll have answers then. Click here for some teaser videos. 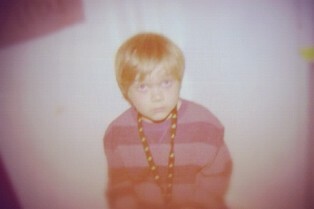 Paranormal Activity 4: Okay, Now Who the Hell is This Kid?! Ominous silhouettes, slamming doors, glitchy footage…yes, it’s yet another teaser for Paranormal Activity 4, opening on October 19th. Paramount has been rolling out mini-teasers around the time the trailer made its debut. Henry Joost and Ariel Schulman – who directed the last entry as well as Catfish – return to deliver you the chills. Plot details? Totally unknown. What can you glean from this latest teaser? Head inside for a look. Here Is the Trailer for Paranormal Activity 4! After a few days of teasing, Paramount has finally released (via iTunes Movie Trailers) the trailer for Paranormal Activity 4, opening October 19th. This entry is once again directed by Paranormal Activity 3 helmers Henry Joost and Ariel Schulman. Boasting the tagline “All of the activity has led to this” it appears the series is back on the forward momentum track, picking up where part two left off (three, as it turned out, was a prequel). Check out the preview inside! Paramount loves to tease you when it comes to Paranormal Activity 4, it seems. The studio has released a second video spot that teases the trailer to come tomorrow. Henry Joost and Ariel Schulman (Paranormal Activity 3, Catfish) directed the fourth installment that will hit theaters on October 19th. Paramount Pictures has released a short tease of the full Paranormal Activity 4 trailer that will be available on Wednesday, August 1st. Henry Joost and Ariel Schulman (Paranormal Activity 3, Catfish) directed the fourth installment that will hit theaters on October 19. Check it out after the jump! Did you forget that there is a Paranormal Activity 4 in the works? I know, I sometimes forget, too. After all, the team behind the series keep things so quiet during production, the buzz surrounding the project seems to drop off the radar until the film is ready to be screened. Today, however, some casting news has hit the web.